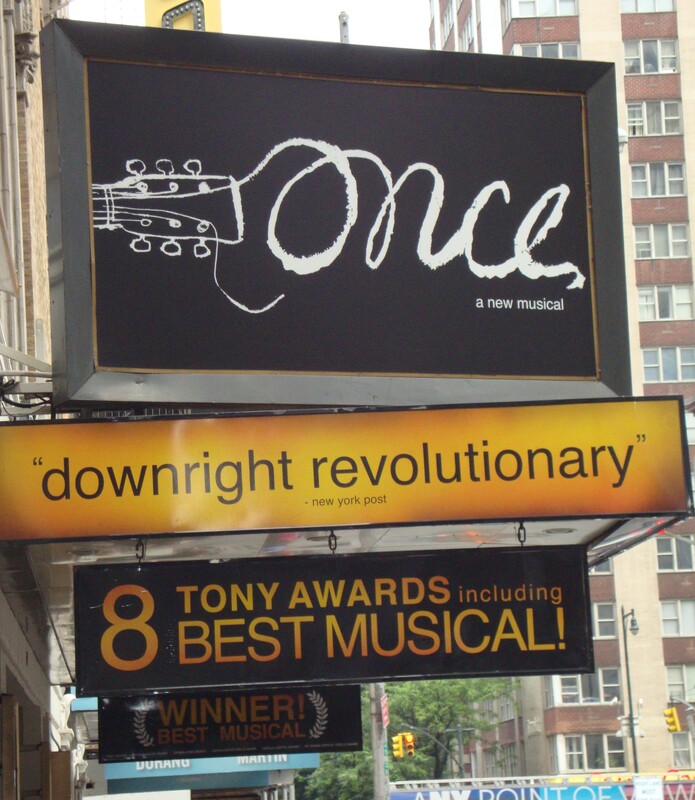 Once played its last performance on January 4, 2015. Based on the 2006 Oscar-winning film, two kindred spirits meet in Dublin and start writing music together, giving a peek into the Dublin music culture. Music by Glen Hansard and Marketa Irglova, book by Enda Walsh. Rush Tickets – Limited rush tickets are available at the box office on the day of the performance, maximum 2 tickets per person. Weekday rush tickets are $35.00, weekend rush tickets are $40.00. Some seats are partial view. OUR TIP: The theater does not open until 10:00 AM, but to have the best chance of getting tickets, we recommend arriving around 8:30 AM, 9:00 AM at the latest. Between 9:00 and 10:00 AM, the chance of getting rush tickets diminishes considerably. Also, go for rush tickets on days with 2 performances such as Wednesday and Saturday. We recommend Wednesdays.